← What’s up with the sea creatures? 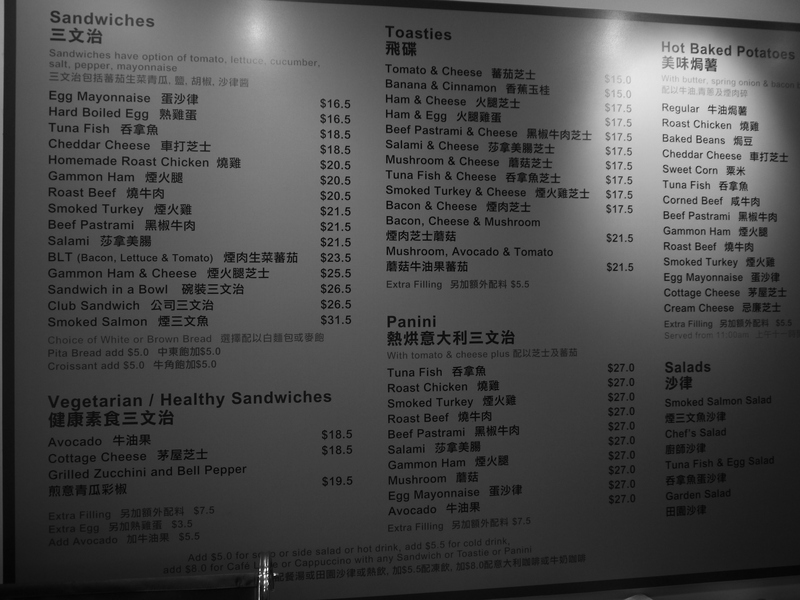 I had my first meal at the Garden Cafe right on the City University campus. Unfortunately I was too hungry to pause and take a photo of what I ordered before guzzling it down. Trust me, I was ravenous. Funny how I actually ate Indian food (Chicken and potatoes in a curry sauce served with steamed rice, YUM!) and not anything local. We were originally meant to go for some Dim Sum, I’m not too sure why plans changed *sad face* but what I got was yummy enough. It was also SPICY AND NICELY SEASONED! Now I’m fully convinced I’m not in America anymore. Woohooo! After lunch, I we decided it’d be best to walk off our meals by walking through the mall. Did I mention how there is a HUGE mall right in the middle of campus? No? Well, there is. Be jealous! Unless, of course, there’s a mall on your campus as well. In that case, carry on with your mall-on-campus-loving. But it really is a shopper’s paradise. I decided now was not the time to do some serious shopping so I walked into a Pharmacy to get some pain relief pads (my back has been hurting for a while now) and then a grocery store, to resist temptation. 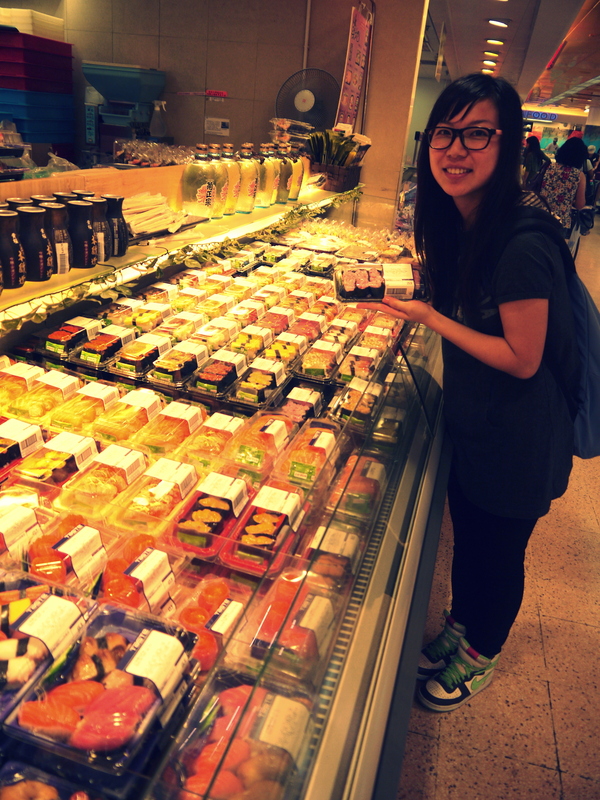 I saw the largest array of sushi!! I couldn’t even get a full photo of it all! Okay, maybe I could, but wasn’t THAT willing to. Say hi to my new friend as well!